White gold engagement rings have been popular since the early 20th century. Here at Diamond Boutique, we have seen a huge boost in desirability for white gold and have responded with a stunning range of sublime rings to offer you greater variety of choice and style. Browse the collection below and you’ll find stunning settings placed with vivid emeralds, bold rubies and of course, breath-taking diamonds. White gold has the ability to make diamonds appear larger and more lustrous, making them the perfect pairing for a proposal. 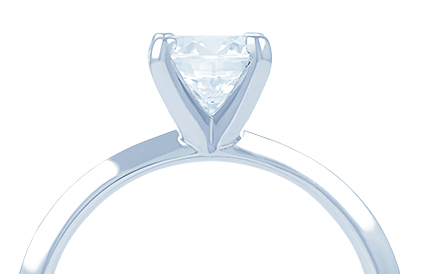 Find your perfect white gold engagement ring in our collection today. Many of the unique designs offer free engraving; contact us today on +44 (0) 203 6959 885 if you need any help or have a special request.